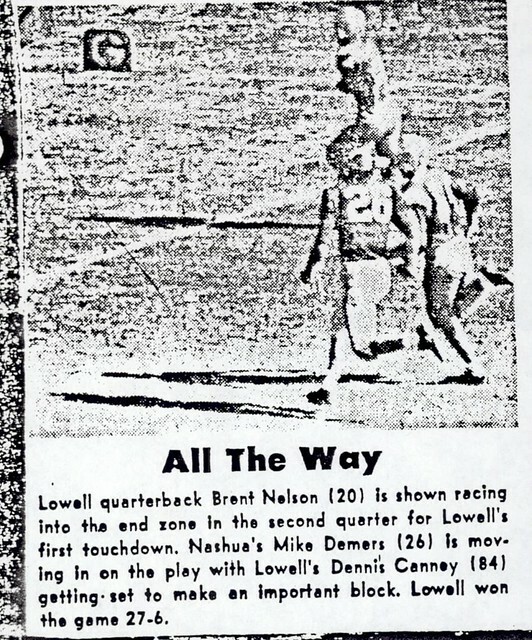 Renowned for his remarkable quickness and athletic ability, Brent Nelson became one of the outstanding football quarterbacks of the Ray Riddick era at Lowell High School. 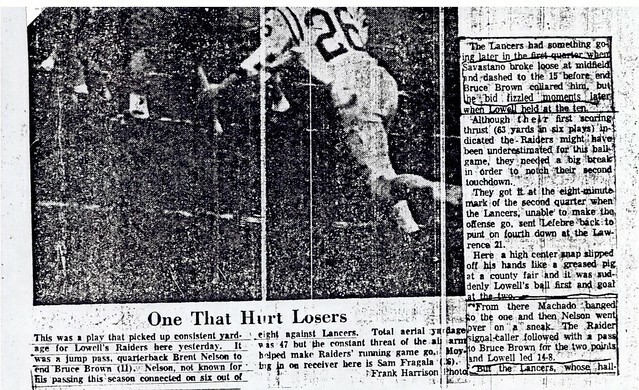 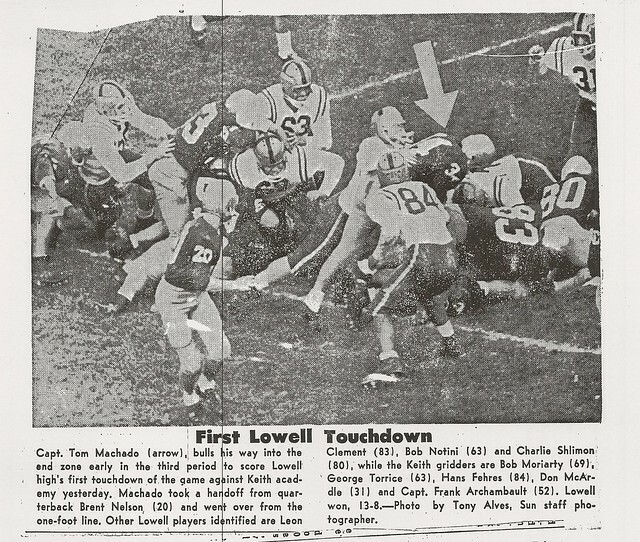 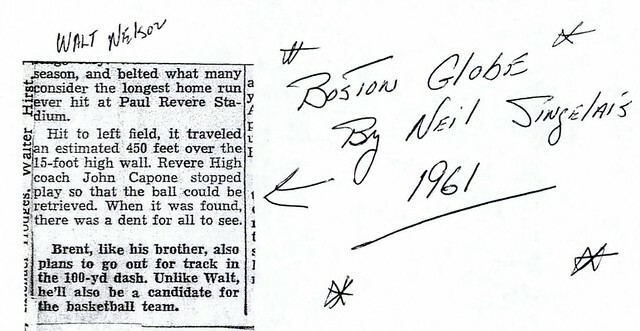 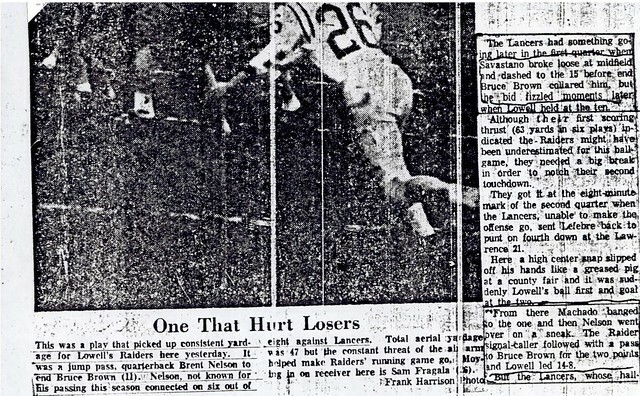 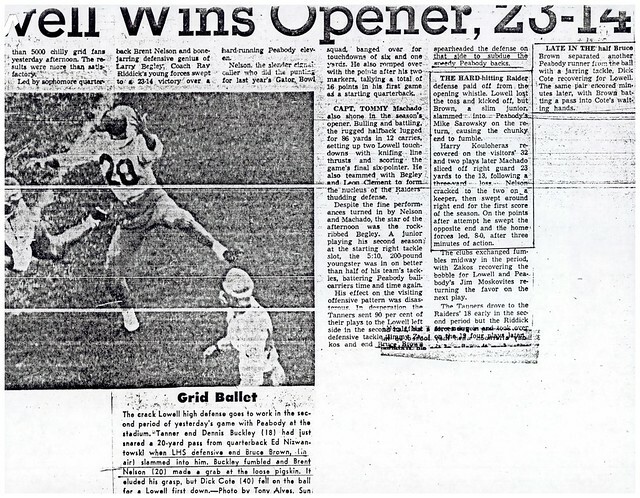 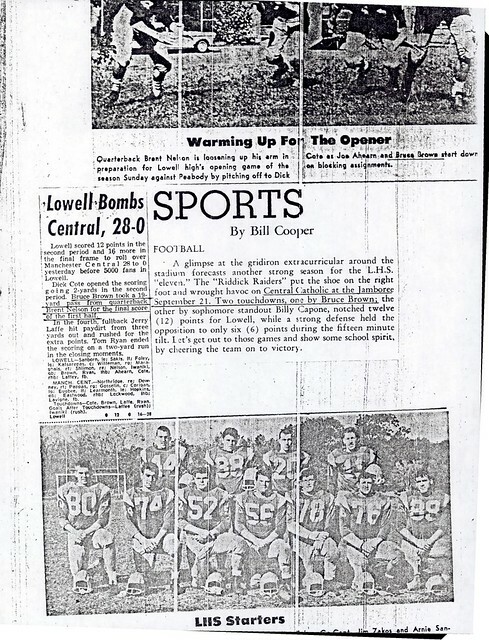 Brent started his Lowell High football career as the varsity punter on the 1961 Raider eleven that traveled to the Gator Bowl–this despite the fact he was only a freshman. 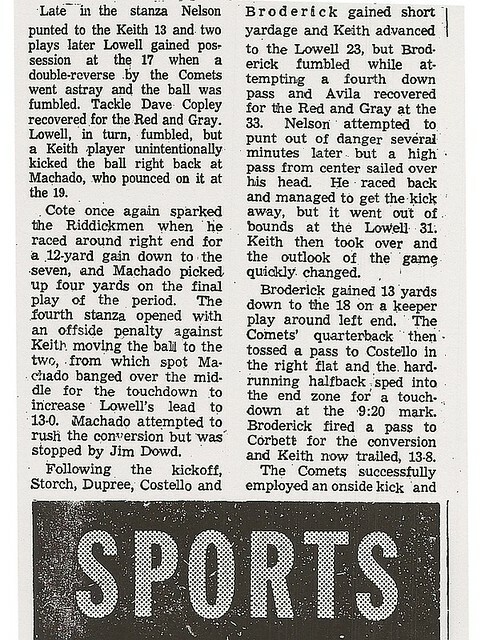 For the following three falls, Brent led the Red & Gray as the team’s quarterback. 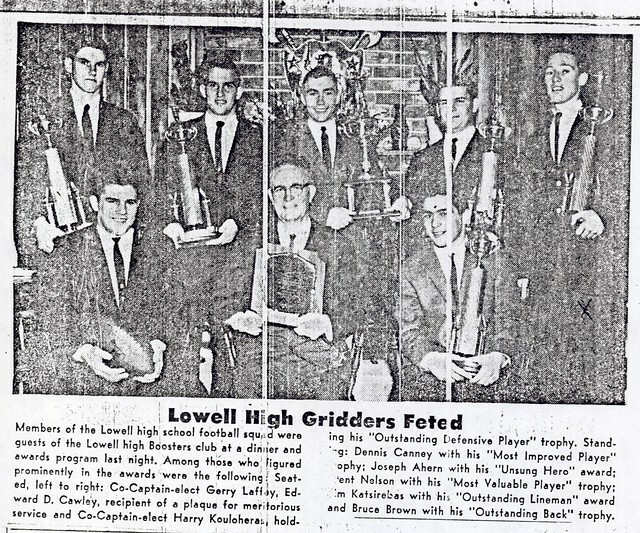 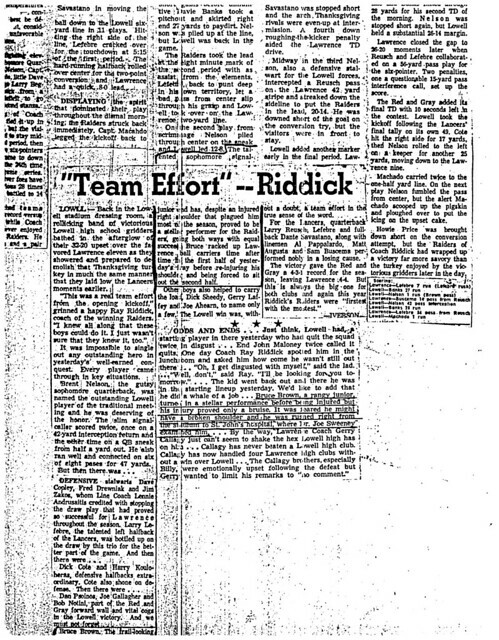 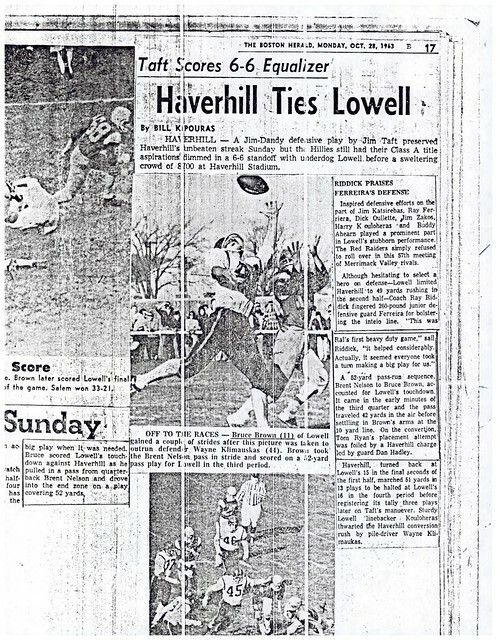 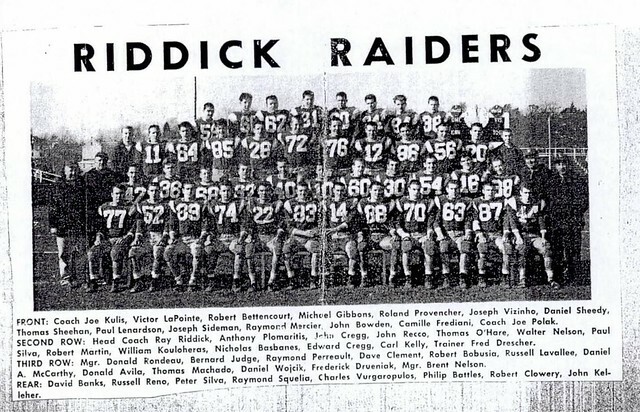 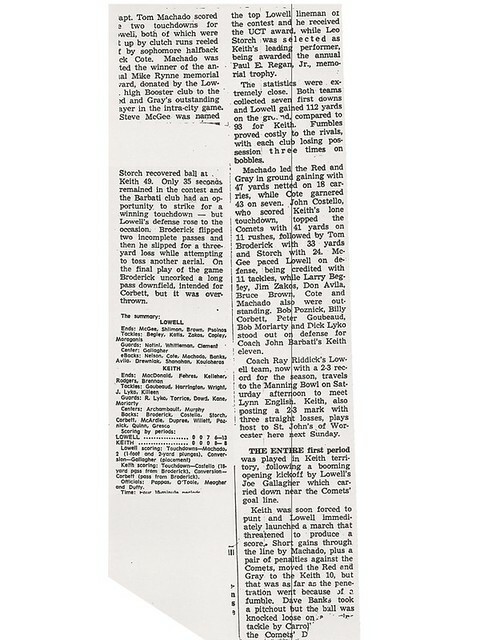 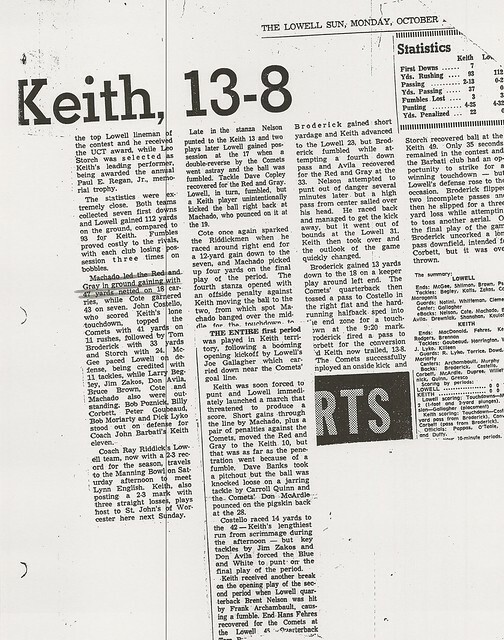 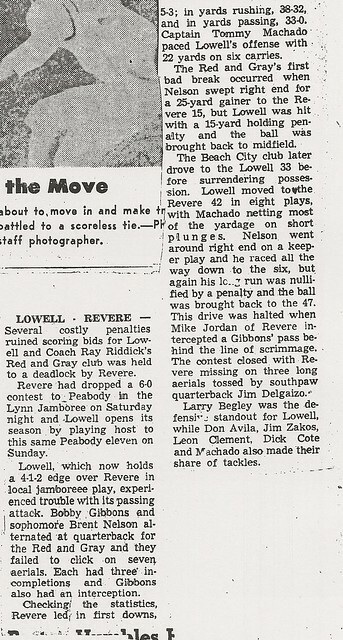 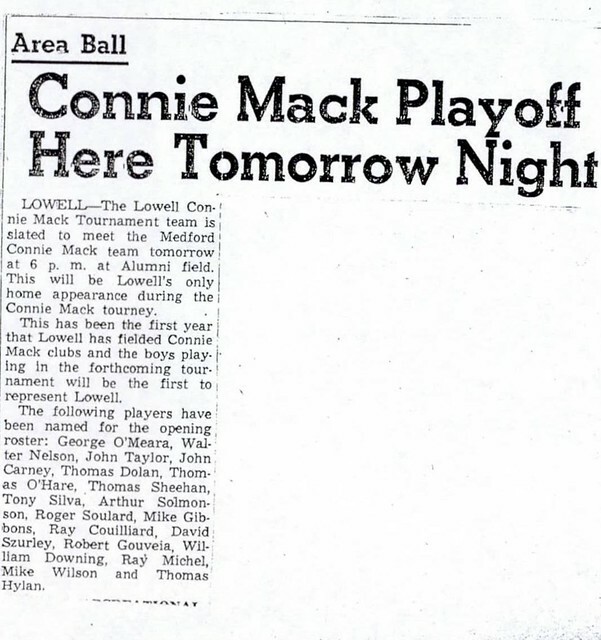 His efforts culminated in the 1964 season, as he scored 13 touchdowns and passed for 3 additional scores to lead Lowell to a perfect 9–0–0 season. 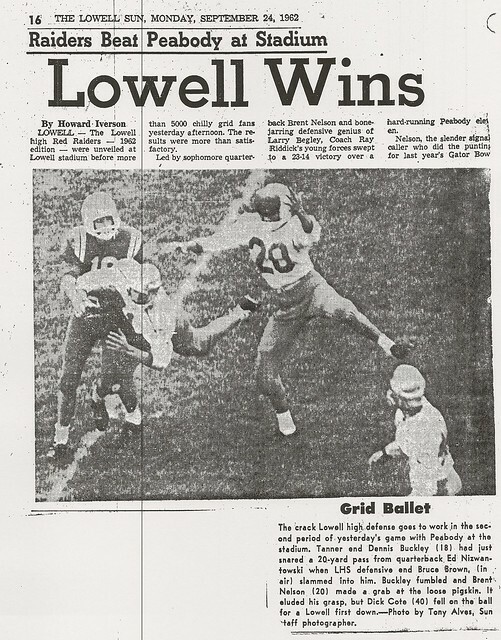 Brent brought down the curtain on a brilliant high school football career by scoring 3 touchdowns (including an 87 yarder) in a 42–0 romp over arch-rival Lawrence. 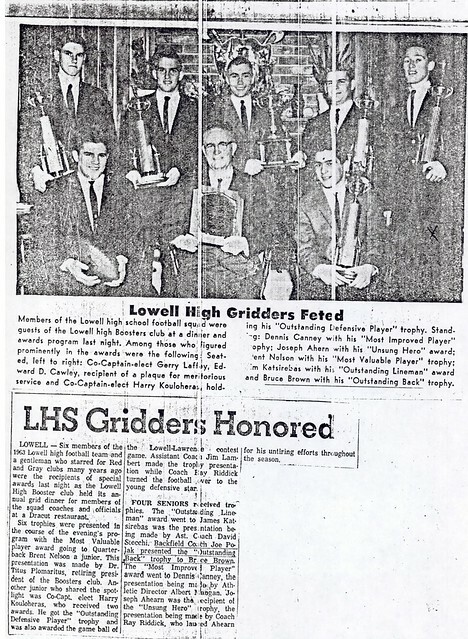 Following the game, Brent was presented an unprecedented 3rd consecutive James Scondras Award, presented annually to the MVP of the Lowell-Lawrence game. 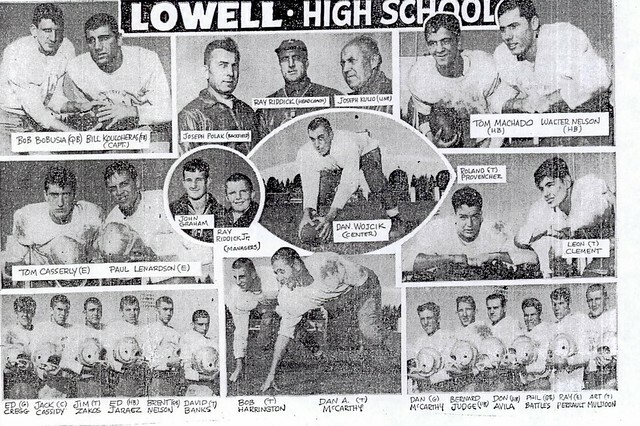 Brent received All-Scholastic honors and competed in the prestigious Agganis All-Star game following his senior year. 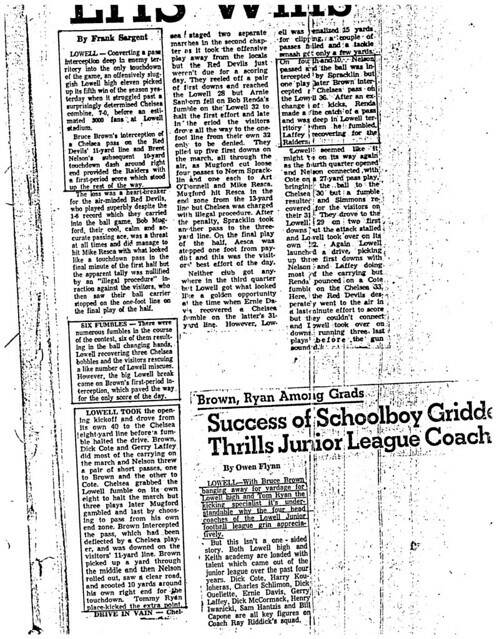 Brent also was a mainstay on the Red & Gray track teams as a sprinter-high jumper. 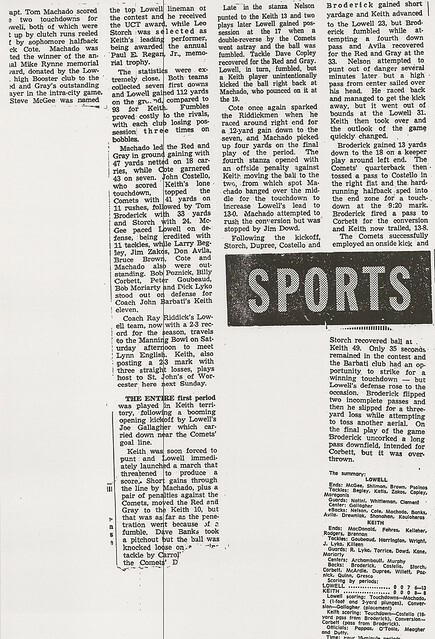 After graduation, Brent went on to Lakemont Academy in New York, where he excelled in football, basketball and track. 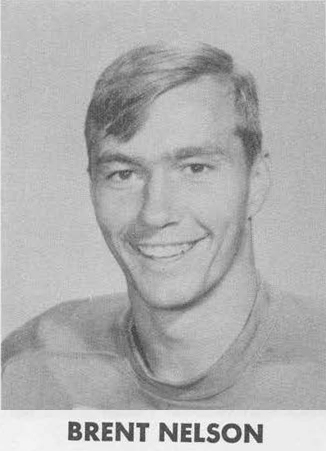 He was voted the school’s Outstanding Athlete for 1965–1966. Brent received a football scholarship to Memphis State University, where he performed as a wide receiver. 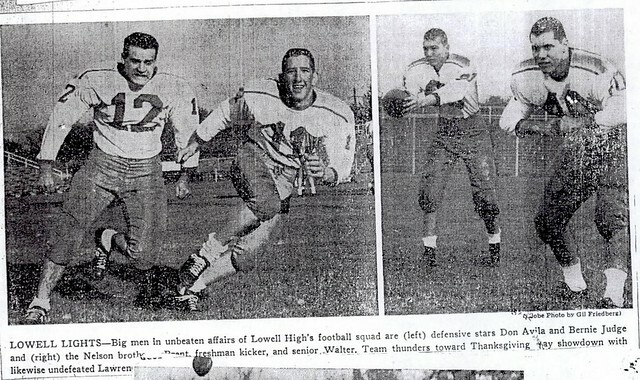 Brent was joined by his brother Walter Nelson in the LHS Athletic Hall of Fame.